SKU: SKU18367. 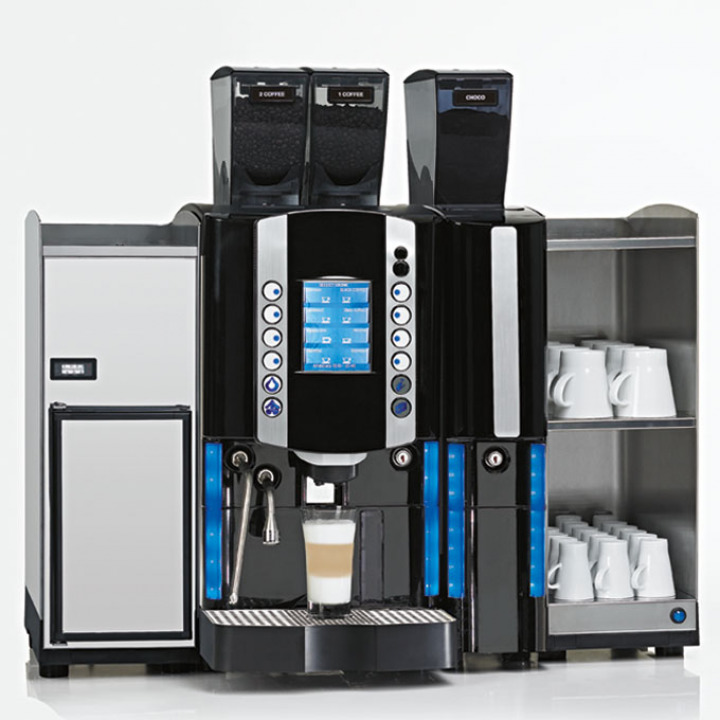 Categories: Bean To Cup, Bean to Cup Coffee Machines, Bean to Cup Machines With Fresh Milk, Coffee Machines, Commercial Coffee Machines, Macco Bean to Cup Machines, Office Coffee Machines. 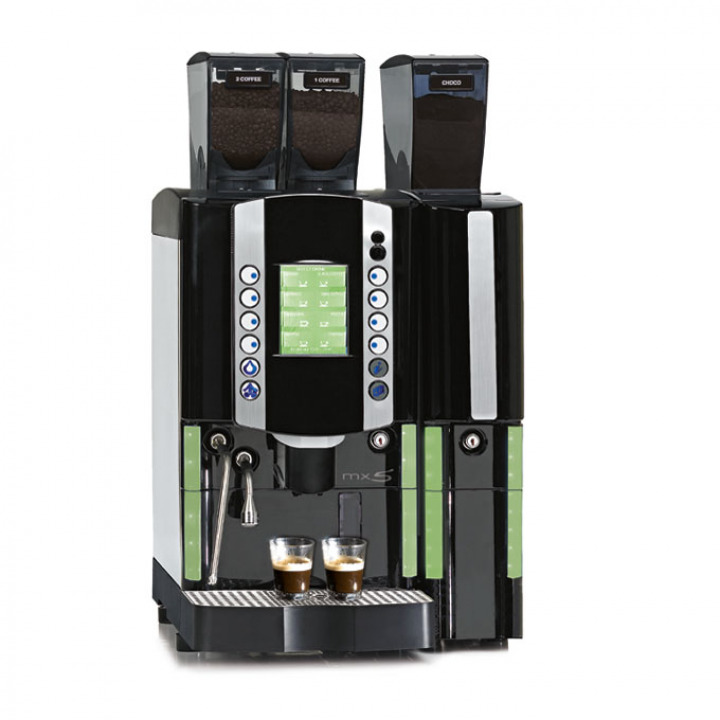 Extensive research and development into bean-to-cup technology combined with an appealing design makes the MX-5 Coffee Machine the perfect choice for any operators and Coffechino will beat any online price. 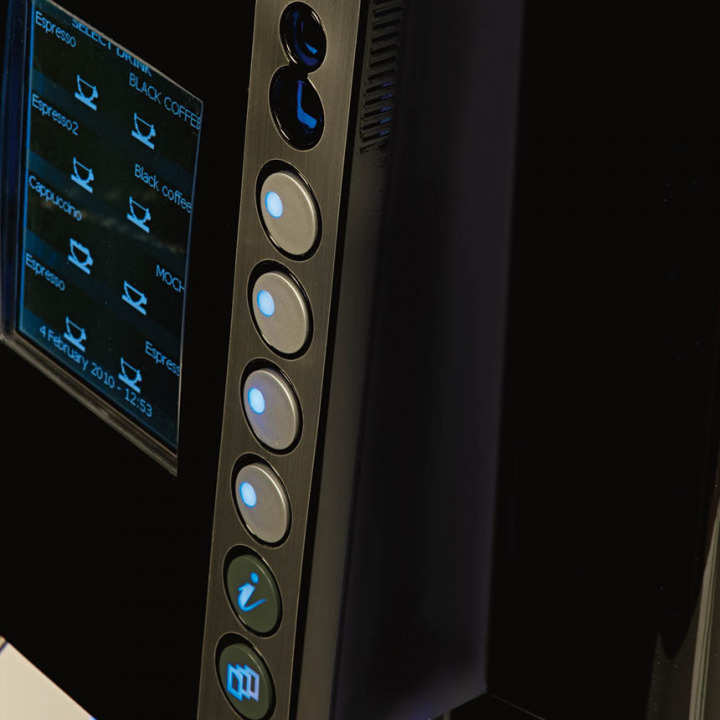 Its innovative graphic display and loudspeaker provide operators with user-guides, as well as a communication platform for brand awareness and promotions. Extensive beverage offer, energy efficiency and easy cleaning are among the many advantages that guarantee reliability and flexibility. Requires either single phase 32 amp or 3-phase power.